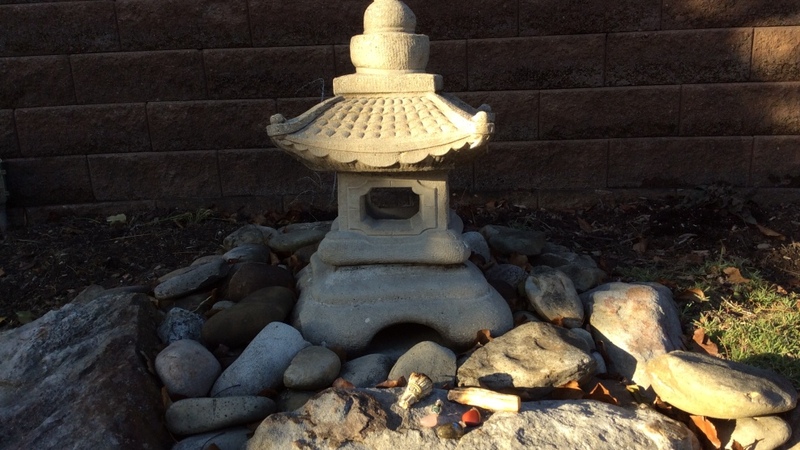 The pagoda in my parents' backyard, along with a few traveling altar items. Courtesy of the author. 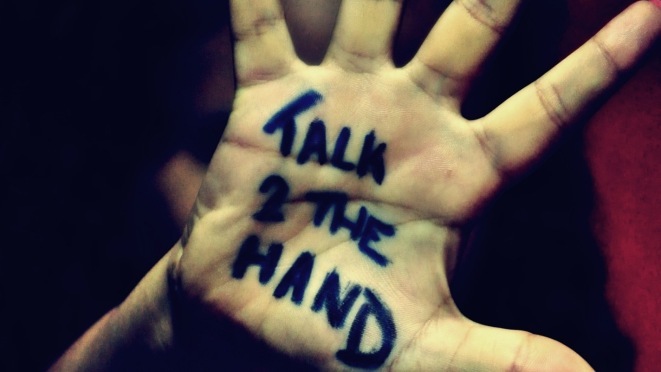 "Talk 2 the Hand" by Maryam Abdulghaffar مريم عبدالغفار., used with permission under CC BY 2.0. Source. 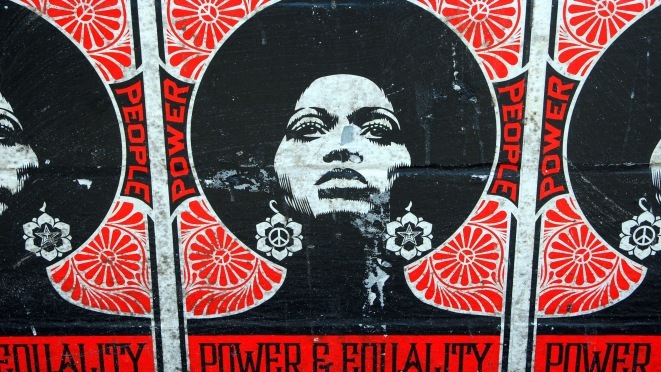 "Power & Equality" by Steve Snodgrass, used with permission under CC BY 2.0. Source. 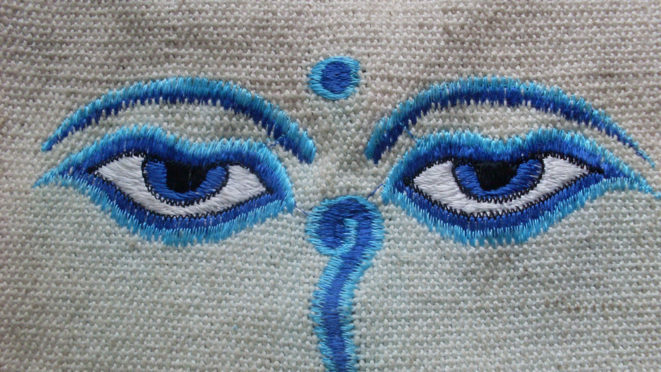 "the eyes of Buddha, symbol of peaceful vigilance" (cropped) by nite.twinkler, used with permission under CC BY 2.0. Source.